ONLY about 73 out of 900 public institutions have submitted their freedom of information (FOI) annual report for 2017 to the Attorney General of the Federation (AGF). This statement was made at a one-day reform seminar on open government partnership organised by the Bureau of Public Service Reform in collaboration with the Public and Private Development Centre (PPDC) on Thursday in Abuja. In a paper presentation titled: “Open Government Partnership: Amplifying Access to Information,” Benjamin Okolo, Deputy Director, FOI Unit, Federal Ministry of Justice, said the open government partnership seeks to promote fiscal transparency, anti-corruption, access to information and citizen’s engagement through technology. “It is unfortunate that just about 73 out 900 public institutions in Nigeria have submitted their 2017 annual report to the Attorney-General of the Federation. This is the only report the Attorney-General by law submits to the National Assembly,” Okolo said. According to section 29 of the FOI Act, every public institution must submit its annual report on or before February 1 of each year to the AGF on all applications of FOI request they received. “Each public institution shall make such report available to the public, among other means, by computer and telecommunications, or if computer and telecommunications means have not been established by the government or public institution, by other electronic means,” section 29 (2) of the Act stated. 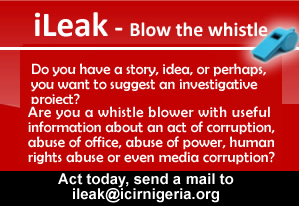 When The ICIR asked if there were sanctions against the defaulting public institutions, Okolo said the current FOI Act regime does not state specifically how defaulting institutions should be punished, but added that the ministry in its own capacity always name and shame erring institutions. He also added that civil society groups such as Media Rights Agenda and PPDC have always exposed public institutions who do not respond to FOI requests and who do not submit their annual reports. The ICIR had earlier in the year reported how budget provisions meant for the implementation of FOI request have not been utilised fully to ensure compliance to the FOI Act.